Lenin Collected Works,Volume 6, pages 231-252. Itis with pleasure that I accede to your request for a criticism of your draft for the “Organisation of the St. Petersburg Revolutionary Party.” (Most likely you meant the organisation of the work of the Russian Social-Democratic Labour Party in St. Petersburg.) The question you have raised is so important that all members of the St. Peters burg Committee, and even all Russian Social-Democrats in general, should take part in its discussion. Firs tof all, let me express my complete agreement with your explanation of the unsuitableness of the former (“league type,” as you term it) organisation of the “League.” You refer to the lack of serious training and revolutionary education among the progressive workers, to the so-called elective system, which Rabocheye Dyelo supporters are championing so proudly and stubbornly on the grounds of “democratic” principles, and to the workers’ alienation from active work. That precisely is the case: 1) the lack of serious training and revolutionary education (not only among the workers, but among the intellectuals as well), 2) the misplaced and immoderate application of the elective principle, and 3) the workers’ alienation from active revolutionary work— that is where the main shortcoming of the St. Petersburg organisation and of many other local organisations of our Party really lies. Ifully share your basic view on the organisational tasks, and also subscribe to your organisational plan, so far as I understand its general outlines from your letter. Specifically,I wholly agree with you that special stress should be laid on the tasks connected with the work on an all-Russian scale and with the work of the Party as a whole; in your draft this is expressed in Clause One, which reads: “The newspaper Iskra, which has permanent correspondents among the workers and close contact with the work within the organisation, is the leading centre of the Party (and not only of a committee or a district).” I should merely like to remark that the newspaper can and should be the ideological leader of the Party, evolving theoretical truths, tactical principles, general organisational ideas, and the general tasks of the whole Party at any given moment. But only a special central group (let us call it the Central Committee, say) can be the direct practical leader of the movement, maintaining personal connections with all the committees, embracing all the best revolutionary forces among the Russian Social-Democrats, and managing all the general affairs of the Party, such as the distribution of literature, the issuing of leaflets, the allocation of forces, the appointment of individuals and groups to take charge of special undertakings, the preparation of demonstrations and an uprising on an all-Russian scale, etc. Since the strictest secrecy of organisation and preservation of continuity of the movement is essential, our Party can and should have two leading centres: a C.O. (Central Organ) and a C. C. (Central Committee). The former should be responsible for ideological leader ship, and the latter—for direct and practical leadership. Unity of action and the necessary solidarity between these groups should be ensured, not only by a single Party programme, but also by the composition of the two groups (both groups, the C.O. and the C.C., should be made up of people who are in complete harmony with one another), and by the institution of regular and systematic joint conferences. Only then will the C.O., on the one hand, be placed beyond the reach of the Russian gendarmes and assured of consistency and continuity, while, on the other hand, the C.C. will always be at one with the C.O. on all essential matters and have sufficient freedom to take direct charge of all the practical aspects of the movement. For this reason it would be desirable that Clause One of the Rules (according to your draft) should not only indicate which Party organ is recognised as the leading organ (that, of course, is necessary), but should also state that the given local organisation sets itself the task of working actively for the creation, support, and consolidation of those central institutions without which our Party cannot exist as a party. Further, in Clause Two, you say that the committee should “direct the local organisation” (perhaps it would be better to say: “all local work and all the local organisations of the Party”; but I shall not dwell on details of formulation), and that it should consist of both workers and intellectuals, for to divide them into two committees is harmful. This is absolutely and indubitably correct. There should be only one committee of the Russian Social-Democratic Labour Party, and it should consist of fully convinced Social-Democrats who devote themselves entirely to Social-Democratic activities. We should particularly see to it that as many workers as possible become fully class-conscious and professional revolutionaries and members of the committee. Once there is a single and not a dual committee, the matter of the committee members personally knowing many workers is of particular importance. In order to take the lead in whatever goes on in the workers’ midst, it is necessary to be able to have access to all quarters, to know very many workers, to have all sorts of channels, etc., etc. The committee should, therefore, include, as far as possible, all the principal leaders of the working-class movement from among the workers themselves; it should direct all aspects of the local movement and take charge of all local institutions, forces and means of the Party. You do not say how the committee should be set up—most likely, here too we shall agree with you that it is scarcely necessary to have special regulations about this; how to set up the committee is a matter for the Social-Democrats on the spot to decide. However, it should perhaps be pointed out that new members should be added to the committee by decision of a majority (or two-thirds, etc.) of its members, and that the committee should see to it that its list of contacts is placed in hands that are reliable (from the revolutionary standpoint) and safe (in the political sense), and that it prepares candidate-members in advance. When we have the C.O. and the new committees should be set up only with their co-operation and their consent. As far as possible, the committees should not have very many members (so that they consist of well-educated people, each well versed in the technique of his particular branch of revolutionary activity), but at the same time they should include a sufficient number to take charge of all aspects of the work, and to ensure full representation and binding decisions. Should it hap pen that the number of members is fairly large and that it is hazardous for them to meet frequently, it might then be necessary to select from the committee a special and very small executive group (consisting of, say, five, or even fewer persons), which should without fail include the secretary and those most capable of giving practical guidance to the work as a whole. It is particularly important that candidate-members be provided for this group so that the work should not have to stop in case of arrests. The activities of the executive group, its membership, etc., should be subject to approval by a general meeting of the committee. Further, alter the committee, you propose the following institutions under it: 1) discussion meetings (conferences of the “best” revolutionaries), 2) district circles with 3) a propagandists’ circle attached to each of these, 4) factory circles, and 5) “meetings of representatives” of delegates from the factory circles of a given district. I fully agree with you that all further institutions (and of these there should be very many and extremely diversified ones, besides those mentioned by you) should be subordinated to the committee, and that it is necessary ·to have district groups (for the very big cities) and factory groups (always and everywhere). But I do not quite agree with you, it seems, on several details. For instance, with regard to “discussion meetings” I think that these are wholly unnecessary. The “best revolutionaries” should all be on the committee, or engaged in special work (printing, transport, agitational tours, the organisation, say, of a passport bureau, or of combat squads to deal with spies and agents provocateurs, or of groups in the army, etc.). “Conferences” will be held in the committee and in each district, in each factory, propagandist, trade (weavers, mechanics, tanners. etc. ), student, literary, etc., circle. Why should conferences be made a special institution? Further. You quite justifiably demand that the opportunity to write to Iskra directly should be given to “every one who wants it." Only “directly” should not be understood to mean that “everyone who wants it” should be given access to the editorial office or its address, but that it should be obligatory to hand over (or forward) to the editors letters from all who so desire. The addresses should, of course, be made known to a fairly wide circle; however, they should not be given to everyone who wants them, but only to revolutionaries who are reliable and known for their ability to observe the conditions of secrecy—perhaps even not to one person in each district, as you suggest, but to several. It is also necessary that all who take part in our work, each and every circle, should have the right to bring their decisions, desires and requests to the attention of the committee, as well as of the C.O. and C.C. If we ensure this, then all conferences of Party functionaries will have the benefit of full in formation, without instituting anything so cumbersome and contrary to the rules of secrecy as “discussion meetings." Of course, we should also endeavour to arrange personal conferences of the greatest possible number of all and sundry functionaries—but then here everything hinges on the observance of secrecy. General meetings and gatherings are possible in Russia only rarely and by way of exception, and it is necessary to be doubly wary about allowing the “best revolutionaries” to attend these meetings, since it is easier in general for agents provocateurs to get into them and for spies to trail some participant of the meeting. I think that perhaps it would be better to do as follows: when it is possible to organise a big (say, 30 to 100 people) general meeting (for instance, in the summer-time in the woods, or in a secret apartment that has been specially secured for this purpose), the committee shou]d send one or two of the “best revolutionaries” and make sure that the meeting is attended by the proper people, i.e., for example, that invitations should be extended to as many as possible of the reliable members of the factory circles, etc. But these meetings should not officially go on record; they should not be put in the Rules, or held regularly; matters should not be arranged in such a way that everyone who attends the meeting knows everyone else there, i.e., knows that everyone is a “representative” of a circle, etc. ; that is why I am opposed, not only to “discussion meetings” but also to “meetings of representatives.” In place of these two institutions I would propose a rule to the following effect. The committee must see to the organisation of big meetings of as many people as possible who are practical participants in the movement, and of the workers in general. The time, place, and occasion for the meeting and its composition are to be determined by the committee, which is responsible for the secret arrangement of such affairs. It is self-evident that the organisation of workers’ gatherings of a less formal character at outings, in the woods, etc., is in no way restricted by this. Perhaps it would be even better not to say anything about this in the Rules. Further, as regards the district groups, I fully agree with you that it is one of their most important tasks to organise the distribution of literature properly. I think the district groups should for the main part act as intermediaries between the committees and the factories, intermediaries and even mostly couriers. Their chief task should be the proper distribution of the literature received from the committee in accordance with the rules of secrecy. This is an extremely important task, for if we secure regular contact between a special district group of distributors and all the factories in that district, as well as the largest possible number of workers’ homes in that district, it will be of enormous value, both for demonstrations and for an uprising. Arranging for and organising the speedy and proper delivery of literature, leaflets, proclamations, etc., training a network of agents for this purpose, means performing the greater part of the work of preparing for future demonstrations or an uprising. It is too late to start organising the distribution of literature at a time of unrest, a strike, or turmoil; this work can be built up only gradually, by making distributions obligatory twice or three times a month. If no newspapers are available, leaflets may and should be distributed, but the distributive machine must in no case be allowed to remain idle. This machine should be brought to such a degree of perfection as to make it possible to inform and mobilise, so to speak, the whole working-class population of St. Petersburg over night. Nor is this by any means a Utopian aim, provided there is a systematic transmission of leaflets from the centre to the narrower intermediary circles and from them to the distributors. In my opinion, the functions of the district groups should not be extended beyond the bounds of purely intermediary and transmission work, or, to put it more accurately, they should be extended only with the utmost caution—otherwise this can only increase the risk of discovery and be injurious to the integrity of the work. Of course, conferences to discuss all Party questions will take place in the district circles as well, but decisions on all general questions of the local movement should be made only by the committee. The district groups should be permitted to act independently only on questions concerning the technical aspect of transmission and distribution. The composition of the district groups should be determined by the committee, i.e., the committee appoints one or two of its members (or even comrades who are not on the committee) as delegates to this or that district and instructs them to establish a district group, all the members of which are likewise installed in office, so to speak, by the committee. The district group is a branch of the committee, deriving its powers only from the latter. I now pass on to the question of propagandists’ circles. It is hardly possible to organise such circles separately in every district owing to the scarcity of our propagandist forces, and it is hardly desirable. Propaganda must be carried on in one and the same spirit by the whole committee, and it should be strictly centralised. My idea of the matter is therefore as follows: the committee instructs several of its members to organise a group of propagandists (which will be a branch of the committee or one of the institutions of the committee). This group, using for the sake of secrecy the services of the district groups, should conduct propaganda throughout the town, and in all localities “within the jurisdiction” of the committee. If necessary, this group may set up subgroups, and, so to say, entrust certain of its functions to the latter, but all this can be done only with the sanction of the committee, which must always and unconditionally possess the right of detailing its delegate to any group, subgroup, or circle which has any connection at all with the movement. The same pattern of organisation, the same type of branches of the committee or its institutions, should be adopted for all the various groups serving the movement—students’ groups in the higher and secondary schools; groups, let us say, of supporters among government officials; transport, printing, and passport groups; groups for arranging secret meeting places; groups whose job it is to track down spies; groups among the military; groups for supplying arms; groups for the organisation of “financially profitable enterprises,” for example, etc. The whole art of running a secret organisation should consist in making use of everything possible, in “giving everyone something to do,” at the same time retaining leadership of the whole movement, not by virtue of having the power, of course, but by virtue of authority, energy, greater experience, greater versatility, and greater talent. This remark is made to meet the possible and usual objection that strict centralisation may all too easily ruin the movement if the centre happens to include an incapable person invested with tremendous power. This is, of course, possible, but it cannot be obviated by the elective principle and decentralisation, the application of which is absolutely impermissible to any wide degree and even altogether detrimental to revolutionary work carried on under an autocracy. Nor can any rules provide means against this; such means can be provided only by measures of “comradely influence,” beginning with the resolutions of each and every subgroup, followed up by their appeals to the C.O. and the C.C., and ending (if the worst comes to the worst) with the removal of the persons in authority who are absolutely incapable. The committee should endeavour to achieve the greatest possible division of labour, bearing in mind that the various aspects of revolutionary work require various abilities, and that sometimes a person who is absolutely useless as an organiser may be invaluable as an agitator, or that a person who is not good at strictly secret work may be an excellent propagandist, etc. Incidentally, while on the subject of propagandists, I should like to say a few words in criticism of the usual practice of overloading this profession with incapable people and thus lowering the level of propaganda. It is sometimes the habit among us to regard every student as a propagandist without discrimination, and every youngster demands that he should “be given a circle,” etc. This must be countered, because it does a great deal of harm. There are very few propagandists whose principles are invariably consistent and who are really capable (and to become such one must put in a lot of study and amass experience); such people should therefore be specialised, put wholly on this kind of work, and be given the utmost care. Such persons should deliver several lectures a week and be sent to other towns when necessary, and, in general, capable propagandists should make tours of various towns and cities. But the mass of young beginners should be given mainly practical assignments, which are somewhat neglected in comparison with the students’ conduct of circles, which is optimistically called “propaganda.” Of course, thorough training is also required for serious practical enterprises; nevertheless, work in this sphere can more easily be found for “beginners” too. Now about the factory circles. These are particularly important to us: the main strength of the movement lies in the organisation of the workers at the large factories, for the large factories (and mills) contain not only the predominant part of the working class, as regards numbers, but even more as regards influence, development, and fighting capacity. Every factory must be our fortress. For that every “factory” workers’ organisation should be as secret internally as “ramified” externally, i.e., in its outward relationships, it should stretch its feelers as far and in as many directions as any revolutionary organisation. I emphasise that here, too, a group of revolutionary workers should necessarily be the core, the leader, the “master.” We must break completely with the traditional type of purely labour or purely trade-union Social-Democratic organisation, including the “factory” circles. The factory group, or the factory (mill) committee (to distinguish it from other groups of which there should be a great number) should consist of a very small number of revolutionaries, who take their instructions and receive their authority to carry on all Social-Democratic work in the factory directly from the committee. Every member of the factory committee should regard himself as an agent of the committee, obliged to submit to all its orders and to observe all the “laws and customs” of the “army in the field” which he has joined and from which in time of war he has no right to absent himself without official leave. The composition of the factory commitee is therefore a matter of very great importance, and one of the chief duties of the committee should be to see to the proper organisation of these subcommittees. This is how I picture it: the committee instructs certain of its members (plus, let us say, certain workers who for some reason or other have not been included in the committee, but who can be very useful by reason of their experience, knowledge of people, intelligence, and connections) to organise factory subcommittees everywhere. This group consults with the district representatives, arranges for a number of meetings, thoroughly checks candidate-members of the factory subcommittees, subjects them to close cross-examination, where necessary puts them to the test, endeavouring personally to examine and verify the largest possible number of candidate-members of the sub committee of the factory in question, and, finally, submits a list of members for each factory circle to the committee for approval, or proposes that authority be given to some designated worker to set up, nominate or select a complete subcommittee. In this way, the committee will also deter mine which of these agents is to maintain contact with it and how the contact is to be maintained (as a general rule, through the district representatives, but this rule may be supplemented and modified). In view of the importance of these factory subcommittees, we must see to it as far as possible that every subcommittee is in possession of an address to which it can direct its communication to the C.O. and of a repository for its list of contacts in some safe place (i.e., that the information required for the immediate re establishment of the subcommittee in the event of arrests is transmitted as regularly and as fully as possible to the Party centre, for safekeeping in a place where the Russian gendarmes are unable to get at it). It is a matter of course that the transmission of addresses must be determined by the committee at its own discretion and on the basis of the facts at its disposal, and not on the basis of some non existent right to a “democratic” allocation of these addresses. Finally, it is perhaps not superfluous to mention that it may sometimes be necessary, or more convenient, to confine ourselves to the appointment of one agent from the commit tee (and an alternate for him) instead of a factory subcommittee consisting of several members. As soon as the factory subcommittee has been formed it should proceed to organise a number of factory groups and circles with diverse tasks and varying degrees of secrecy and organisational form, as, for instance, circles for delivering and distributing literature (this is one of the most important functions, which must be organised so as to provide us with a real postal service of our own, so as to possess tried and tested methods, not only for distributing literature, but also for delivering it to the homes, and so as to provide a definite knowledge of all the workers’ addresses and ways of reaching them); circles for reading illegal literature; groups for tracking down spies ; circles for giving special guidance to the trade-union movement and the economic struggle; circles of agitators and propagandists who know how to initiate and to carry on long talks in an absolutely legal way (on machinery, inspectors, etc.) and so be able to speak safely and publicly, to get to know people and see how the land lies, etc. The factory subcommittee should endeavour to embrace the whole factory, the largest possible number of the workers, with a network of all kinds of circles (or agents). The success of the subcommittee’s activities should be measured by the abundance of such circles, by their accessibility to touring propagandists and, above all, by the correctness of the regular work done in the distribution of literature and the collection of information and correspondence. To sum up, the general type of organisation, in my opinion, should be as follows: a committee should be at the head of the entire local movement, of all the local Social-Democratic activities. From it should stem the institutions and branches subordinate to it, such as, first, the network of executive agents embracing (as far as possible) the whole working-class mass and organised in the form of district groups and factory (mill) subcommittees. In times of peace this network will be engaged in distributing literature, leaflets, proclamations and the secret communications from the committee; in times of war it will organise demonstrations and similar collective activities. Secondly, the committee will also branch out into circles and groups of all kinds serving the whole movement (propaganda, transport, all kinds of underground activities, etc.). All groups, circles, subcommittees, etc., should enjoy the status of committee institutions or branches of a committee. Some of them will openly declare their wish to join the Russian Social-Democratic Labour Party and, if endorsed by the committee, will join the Party, and will assume definite functions (on the instructions of, or in agreement with, the committee), will undertake to obey the orders of the Party organs, receive the same rights as all Party members, and be regarded as immediate candidates for membership of the committee, etc. Others will not join the Russian Social-Democratic Labour Party, and will have the status of circles formed by Party members, or associated with one Party group or another, etc. In all internal matters, members of all these circles are of course on an equal footing, as are all members of a committee. The only exception will be that the right of personal contact with the local committee (as well as with the G.C. and the C.O.) will be reserved solely to the person (or persons) appointed for that purpose by the committee. In all other respects, this person will be on an equal footing with the rest, who will also have the right to present statements (but not in person) to the local committee and to the C.C. and C.O. It follows that the exception indicated will not at all be an infraction of the principle of equality, but merely a necessary concession to the absolute demands of secrecy. A member of a committee who fails to transmit a communication of his “own” group to the committee, the C.C. or the C.O., will be guilty of a direct breach of Party duty. Further, the degree of secrecy and the organisational form of the various circles will depend upon the nature of the functions: accordingly, the organisations will be most varied (ranging from the “strictest,” narrowest, and most restricted type of organisation to the “freest,” broadest, most loosely constituted, and open type). For instance, strictest secrecy and military discipline must be maintained in the distributing groups. The propagandists’ groups must also maintain secrecy, but be under far less military discipline. Workers’ groups for reading legal literature, or for organising discussions on trade-union needs and demands call for still less secrecy, and so on. The distributing groups should belong to the R.S.D.L.P. and know a certain number of its members and functionaries. The groups for studying labour conditions and drawing up trade-union demands need not necessarily belong to the R.S.D.L.P. Groups of students, officers, or office employees engaged in self-education in conjunction with one or two Party members should in some cases not even be aware that these belong to the Party, etc. But in one respect we must absolutely demand the maximum degree of organisation in all these branch groups, namely, that every Party member belonging to such a group is formally responsible for the conduct of work in the group and is obliged to take every measure in order that the composition of each of these groups, the whole mechanism of its work, and the content of that work should be known as fully as possible to the C.C. and the C.O. That is necessary in order that the centre may have a complete picture of the whole movement, that the selection for various Party posts may be made from the widest possible circle of people; that all groups of a similar nature throughout Russia may learn from one another (through the medium of the centre), and that warning may be given in the event of the appearance of agents provocateurs or suspicious characters— in a word, that is absolutely and vitally necessary in all cases. How is it to be done? By submitting regular reports to the committee, by transmitting to the C.O. as much of the contents as possible of as large a number of reports as possible, by arranging that members of the C.C. and the local committee visit the various circles, and, finally, by making it obligatory to hand over the list of contacts with these circles, i.e., the names and addresses of several members of each circle, for safekeeping (and to the Party bureau of the C.O and the C.C.). Only when reports are submitted and contacts transmitted will it be possible to say of a Party member belonging to a given circle that he has done his duty; only then will the Party as a whole be in a position to learn from every circle that is carrying on practical work; only then will arrests and dragnets lose their terror for us, for if contacts are maintained with the various circles it will always be easy for a delegate of our G.G. to find substitutes immediately and have the work resumed. The arrest of a committee will then not destroy the whole machine, but only remove the leaders, who will always have candidates ready. And let it not be said that the transmission of reports and contacts is impossible because of the need to maintain secrecy: once there is the desire to do so, it is always, and will always, be possible to hand over (or forward) reports and contacts, so long as we have committees, a C.C. or a C.O. This brings us to a highly important principle of all Party organisation and all Party activity: while the greatest possible centralisation is necessary with regard to the ideological and practical leadership of the movement and the revolutionary struggle of the proletariat, the greatest possible decentralisation is necessary with regard to keeping the Party centre (and therefore the Party as a whole) informed about the movement, and with regard to responsibility to the Party. The leadership of the movement should be entrusted to the smallest possible number of the most homogeneous possible groups of professional revolutionaries with great practical experience. Participation in the movement should extend to the greatest possible number of the most diverse and heterogeneous groups of the most varied sections of the proletariat (and other classes of the people). The Party centre should always have before it, not only exact information regarding the activities of each of these groups, but also the fullest possible information regarding their composition. We must centralise the leadership of the movement. We must also (and for that very reason, since without information centralisation is impossible) as far as possible decentralise responsibility to the Party on the part of its individual members, of every participant in its work, and of every circle belonging to or associated with the Party. This decentralisation is an essential prerequisite of revolutionary centralisation and an essential corrective to it. Only when centralisation has been carried through to the end and when we have a C.O. and a C.C., will it be possible for every group, however small, to communicate with them—and not only communicate with them, but to do so regularly as a result of a system established by years of experience—only then will the possibility of grievous consequences resulting from an accidentally unfortunate composition of a local committee be eliminated. Now that we are coming close to actual unity in the Party and to the creation of a real leading centre, we must well remember that this centre will be powerless if we do not at the same time introduce the maximum of decentralisation both with regard to responsibility to the centre and with regard to keeping it informed of all the cogs and wheels of the Party machine. This decentralisation is nothing but the reverse side of the division of labour which is generally recognised to be one of the most urgent practical needs of our movement. No official recognition of a given organisation as the leading body, no setting-up of a formal C.G. will make our movement really united, or create an enduring militant Party, if the Party centre continues to be cut off from direct practical work by the local committees of the old type, i.e., by committees such as are, on the one hand, made up of a regular jumble of persons, each of whom carries on all and every kind of work, without devoting himself to some definite type of revolutionary work, without assuming responsibility for some special duty, without carrying through a piece of work to the end, once it has been undertaken, thoroughly considered and prepared, wasting an enormous amount of time and energy in radicalist noise-making, while, on the other hand, there is a great mass of students’ and workers’ circles, half of which are altogether unknown to the committee, while the other half are just as cumbersome, just as lacking in specialisation, just as little given to acquiring the experience of professional revolutionaries or to benefiting from the experience of others, just as taken up with endless conferences “about everything,” with elections and with drafting rules, as the committee itself. For the centre to be able to work properly, the local committees must reorganise themselves; they must become specialised and more “business-like” organisations, achieving real “perfection” in one or another practical sphere. For the centre not only to advise, persuade, and argue (as has been the case hitherto), but really conduct the orchestra, it is necessary to know exactly who is playing which fiddle, and where and how; where and how instruction has been or is being received in playing each instrument; who is playing out of tune (when the music begins to jar on the ear), and where and why; and who should be transferred, and how and where to, so that the discord may be remedied, etc. At the present time—this must be said openly—we either know nothing about the real internal work of a committee, except from its proclamations and general correspondence, or we know about it from friends or good acquaintances. But it is ridiculous to think that a huge Party, which is capable of leading the Russian working-class movement and which is preparing a general onslaught upon the autocracy, can limit itself to this. The number of committee members should be cut down; each of them, wherever possible, should be entrusted with a definite, special and, important function, for which he will be held to account; a special, very small, directing centre must be set up; a network of executive agents must be developed, linking the committee with every large factory, carrying on the regular distribution of literature and giving the centre an exact picture of this distribution and of the entire mechanism of the work; lastly, numerous groups and circles must be formed, which will undertake various functions or unite persons who are close to the Social-Democrats, who help them and are preparing to become Social-Democrats, so that the committee and the centre may be constantly informed of the activities (and the composition) of these circles—these are the lines along which the St. Petersburg, and all the other committees of the Party, should be reorganised; and this is why the question of Rules is of so little importance. I have begun with an analysis of the draft Rules in order to bring out the drift of my proposals more clearly. And as a result it will, I hope, have become clear to the reader that in fact it would perhaps be possible to get along without Rules, substituting for them regular reports about each circle and every aspect of the work. What can one put in the Rules? The committee guides the work of everyone (this is clear as it is). The committee elects an executive group (this is not always necessary, and when it is necessary it is not a matter of Rules but of informing the centre of the composition of this group and of the candidate-members to it). The committee distributes the various fields of work among its members, charging every member to make regular reports to the committee and to keep the G.O. and C.C. informed about the progress of the work (here, too, it is more important to inform the centre of whatever assignments have been made than to include in the Rules a regulation which more frequently than not will go by the board because of scarcity of our forces). The committee must specify exactly who its members are. New members are added to the committee by co-optation. The committee appoints the district groups, factory subcommittees and certain groups (if you wish to enumerate them you will never be done, and there is no point approximately in enumerating them in the Rules; it is sufficient to inform the centre about their organisation). The district groups and subcommittees organise the following circles.... It would be all the less useful to draw up such Rules at present since we have practically no general Party experience (and in many places none whatever) with regard to the activities of the various groups and subgroups of this sort, and in order to acquire such experience what is needed is not Rules but the organisation of Party information, if I may put it in this way. Each of our local organisations now spends at least a few evenings on discussing Rules. If instead, each member would devote this time to making a detailed and well-prepared report to the entire Party on his particular function, the work would gain a hundredfold. 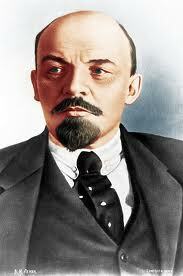 A Letter to a Comrade on Our Organisational Tasks was a reply to a letter from the St. Petersburg Social-Democrat A. A. Shneyerson (Yeryoma) criticising the way Social-Democratic work was organised in that city. Afterthe arrest of V. I. Lenin and his close associates in December 1895, the “economists” gradually gained control of the League of Struggle for the Emancipation of the Working Class. Unlike the revolutionary Marxists, who fought for the creation of an under ground and centralised organisation of revolutionaries, the “economists” derogated the significance of political struggle and came out for creation of a broad working-class organisation based on the elective principle and pursuing the primary aim of immediate defence of the workers’ economic interests, formation of mutual aid banks, and the like. The “economists’\thinspace" long control of the League of Struggle left an imprint on its organisational structure too: its working-class membership (the so-called Workers’ Organisation) was artificially separated from the intellectual members. The League’s clumsy organisation was more adapted for a trade-union form of struggle than for leadership of the workers’ mass revolutionary struggle against the autocracy and the bourgeoisie. The struggle between the Iskra-ists and the “economists” which developed in the St. Petersburg organisation culminated in the St. Petersburg Committee of the R.S.D.L.P. going over to the Iskra stand in the summer of 1902. To reconstruct the St. Petersburg League of Struggle in the spirit of Iskra organisational principles, a committee was set up composed of representatives of the Iskra organisation, the Workers’ Organisation, and the St. Petersburg Committee. However, the “economists,” headed by Tokarev, stated that they disagreed with the St. Petersburg Committee’s decision on support for the Iskra stand, formed the so-called Workers’ Organisation’s Committee, and launched a struggle against the Iskra-ists. The latter, with the support of the workers, were able to retain their positions and fortify their standing in the St. Petersburg organisation. A Letter to a Comrade, in which Lenin developed and gave concrete shape to his plan for the Party’s organisation, was received in St. Petersburg at the height of the struggle against the “economists.” It was hectographed, copied by hand, and distributed among St. Petersburg Social-Democrats. In June 1903 it was illegally published by the Siberian Social-Democratic League under the title of On Revolutionary Work in the Organisations of the R.S.D.L.P. (A Letter to a Comrade). This Letter was published by the R.S.D.L.P.’s Central Committee as a separate pamphlet, with a preface and postscript by Lenin, who also prepared the pamphlet for the press. The Letter was widely distributed in Social-Democratic organisations, police archives for 1902-05 revealing that it was found during police raids in Moscow, Riga, Rostov-on-Don, Nakhichevan, Nikolayev, Krasnoyarsk, Irkutsk, and elsewhere.